The Kia K900 is an all-new model for 2015. 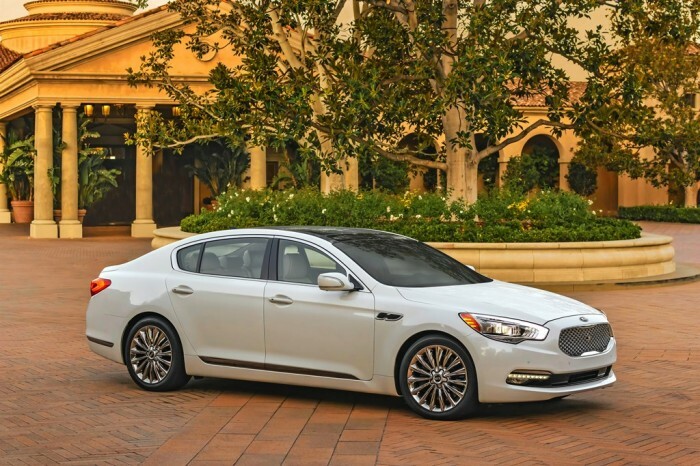 The 2015 Kia K900 competes amongst the best luxury sedans available, but with a price tag we can all appreciate. The K900 is Kia’s largest sedan to date, and is the same size as established luxury sedans such as the Audi A8 and BMW 7 Series. Kia is known for providing incredible value and the K900 is no exception. The K900 comes packed with standard exterior features, including 18-inch alloy wheels, LED fog lights, adaptive xenon headlights, power-folding and auto-dimming mirrors, a power trunk lid, front and rear parking sensors automatic wipers, and keyless ignition and entry. Initially, the K900 will be available with only a 5.0-liter V8 engine that creates 420 hp and 376 lb-ft of torque. Later next year a 3.8-liter V6 engine that puts out 311 hp and 293 lb-ft of torque will be introduced as an option. 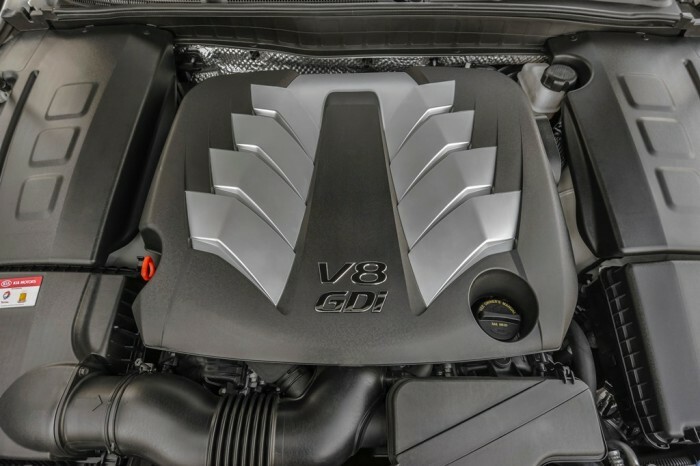 The EPA rates the 5.0-liter V8 at 15 mpg city, 23 mpg highway, and 18 mpg combined fuel efficiency. EPA fuel economy estimates for the 3.8-liter V6 are 18 mpg city, 27 mpg highway, and 21 mpg combined. We have to say, we are pleasantly surprised with the impressive quality, design and overall impression of the K900. 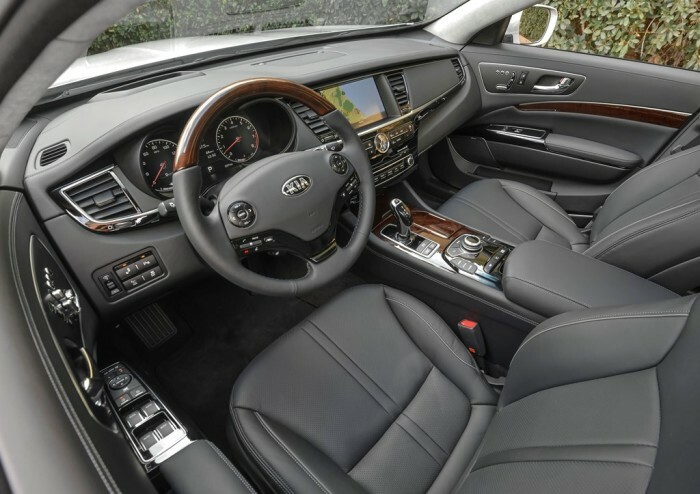 Kia is known for delivering value, and they take it to a new level with the K900, boasting a long list of standard luxury features. The center display is high-tech and visually appealing with an intuitive 9.2-inch display. 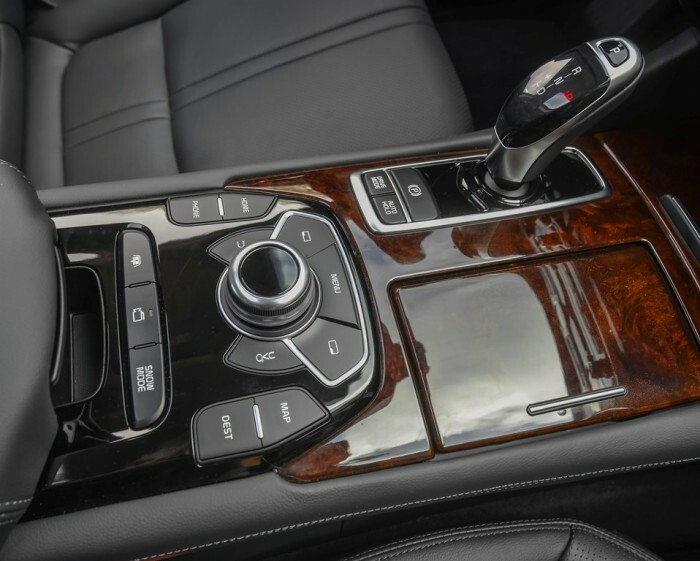 High-end soft-touch materials combined with tasteful wood trim round out the K900’s top-of-the-line interior. Available options like soft-close doors and reclining rear seats offer premium comfort and convenience. 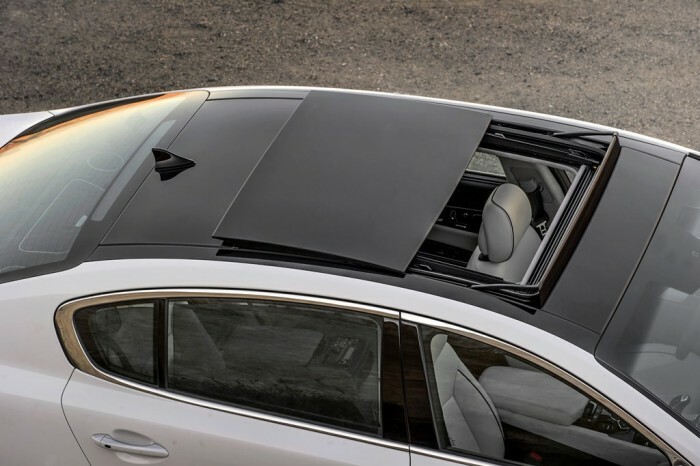 The 2015 Kia K900 comes packed with features to make it an incredibly safe choice. Antilock disc brakes, traction and stability control, front and rear seat side airbags, full-length side curtain airbags, front and rearview cameras, and Uvo eServices (which provides emergency assistance and teen-oriented monitoring features) are all standard features. The V8 models also come standard with a blind-spot monitoring system, rear cross-traffic alert and a lane departure warning system. These features are optional on the V6 model.